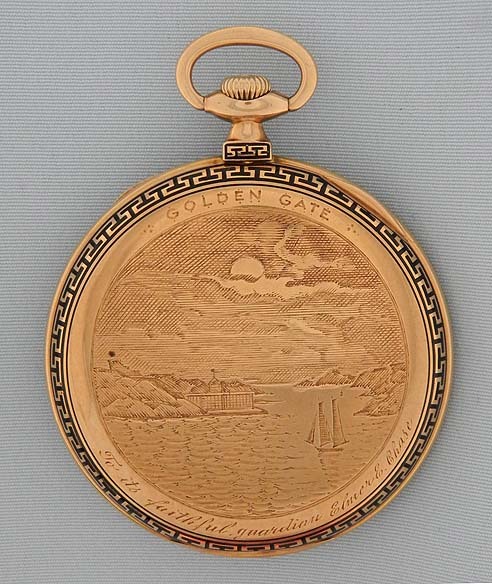 Fine slim Swiss Meylan 18K gold and enamel antique pocket watch with a beautifully engraved scene of San Francisco's Golden Gate before the construction of the bridge, circa 1910. 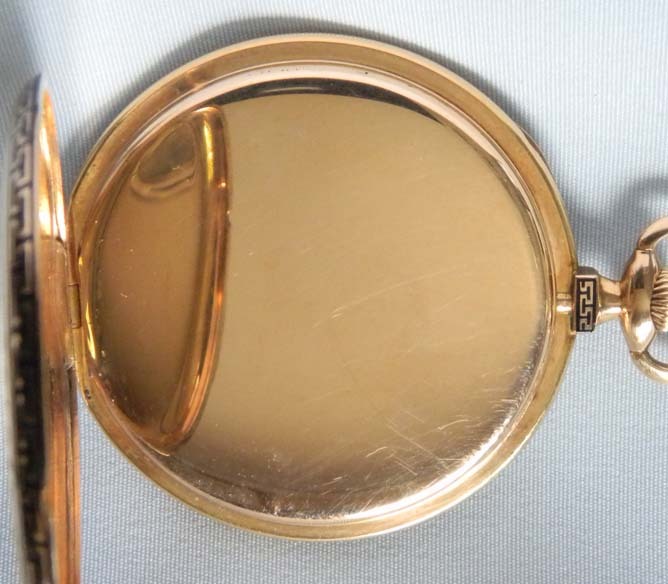 Slim case with black enamel Greek Key borders. 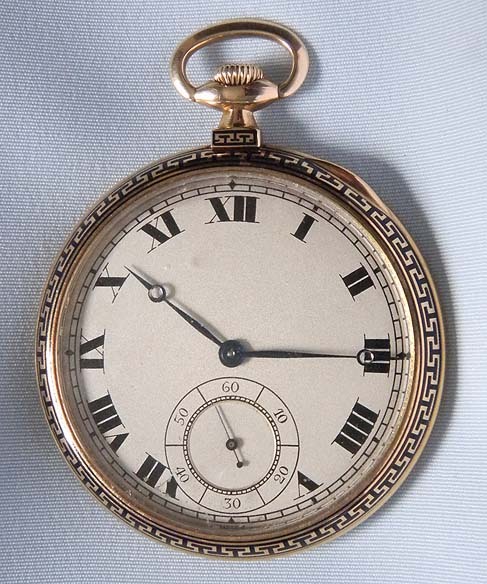 Original silver dial with bold black markings and blued steel hands. 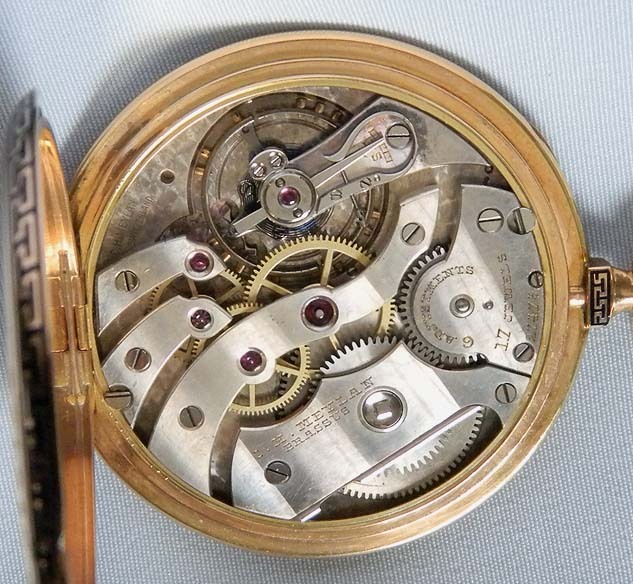 Nickel 17 jewel 6 adjustment movement with precision regulator. Very attractive and probably unique.